Discharge is the favorable outcome debtors seek when they file for bankruptcy. With both Chapter 7 and Chapter 13 bankruptcies, a discharge means you are no longer liable for any unpaid debts. Your creditors can't pursue you for payment. Unless your bankruptcy case is reopened by you, the trustee assigned to your case, or an interested creditor, your case is officially over. A dismissal can also close your bankruptcy case. If your case is dismissed, you do not receive a discharge. You might decide to voluntarily dismiss your own case, electing to end it prematurely, but this option is usually not possible with Chapter 7, in which your trustee liquidates your property and pays the proceeds to your creditors. A Chapter 13 bankruptcy involves entering into a repayment plan with your creditors, approved by the court. You can voluntarily dismiss your Chapter 13 bankruptcy for a number of reasons, such as you are unable to keep up with your monthly payments under the plan. The court can also dismiss your case without your consent. This may happen if you fail to comply with a court procedure or if you engage in fraud. When your bankruptcy case is dismissed, you are still responsible for your debts. Creditors can resume collection activities against you. The manner in which your bankruptcy case closes has a large effect on when you can receive another discharge, or even when you can file for bankruptcy again. For example, if you file for Chapter 7 and you receive a discharge, you can receive another discharge after eight years under Chapter 7, or after four years under Chapter 13. If you received your discharge under Chapter 13, you only have to wait two years to receive another discharge under Chapter 13 or six years under Chapter 7. However, you may not have to wait six years, depending on how much you paid your unsecured debts under the plan. Unless the court has barred you from refiling, you can usually do so immediately if your case was dismissed rather than discharged. If the court bars you from immediately refiling, however, it is likely to impose a 180-day waiting period before you can submit a new petition. Bankruptcy courts usually do this when a debtor deliberately fails to follow a court request or procedure. Dismissals can also affect your right to an automatic stay if you refile. If you do so within a year, your stay will be limited to 30 days. If you've had two or more dismissals within a year, you won't receive an automatic stay at all. Regardless of whether your bankruptcy case is discharged or dismissed, your filing will have a negative effect on your credit. 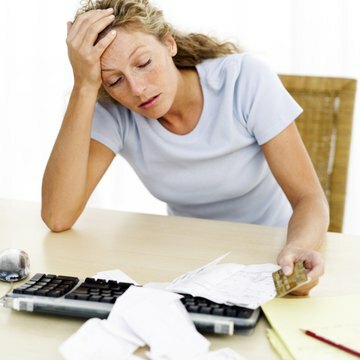 When you file, the bankruptcy is reported on your credit report and it will remain there for up to 10 years. This negative reporting isn't removed if your case is dismissed. Unless you refile and eventually receive a discharge, you'll experience only the negative outcomes of a bankruptcy filing and none of the positive ones, such as being relieved of your debt. A dismissal can also result in legal penalties if it occurred due to fraudulent conduct, such as an attempt to hide assets. U.S. Bankruptcy Court, Central District of California: Dismissal, Conversion & Closing Of A Bankruptcy Case, What Are The Differences Between Them? Allmand Law: How Does a Bankruptcy Case Come to a Close? The closing of a Chapter 7 bankruptcy case signifies the end of the bankruptcy. At the end of the case, you will receive a bankruptcy discharge which means all of the debts included in your bankruptcy case are no longer legally enforceable. However, your case can also be closed through a dismissal, which does not result in a discharge. The closing of the case is administrative in nature, and you will be notified your case is closed by mail.